Home / The team (left to right): Mary Beth DiGenova, Brandon Burns, Dean Smith, Aaron Tellers, Didier Grassin, David Rooney, Eric Kenney. 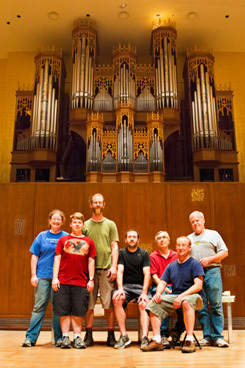 The team (left to right): Mary Beth DiGenova, Brandon Burns, Dean Smith, Aaron Tellers, Didier Grassin, David Rooney, Eric Kenney. Published March 26, 2014 at 245 × 368 in The team (left to right): Mary Beth DiGenova, Brandon Burns, Dean Smith, Aaron Tellers, Didier Grassin, David Rooney, Eric Kenney.